What’s Included In a Log Package? We provide reliable shipping and professional reassembly for all our homes, priced specifically for your location. 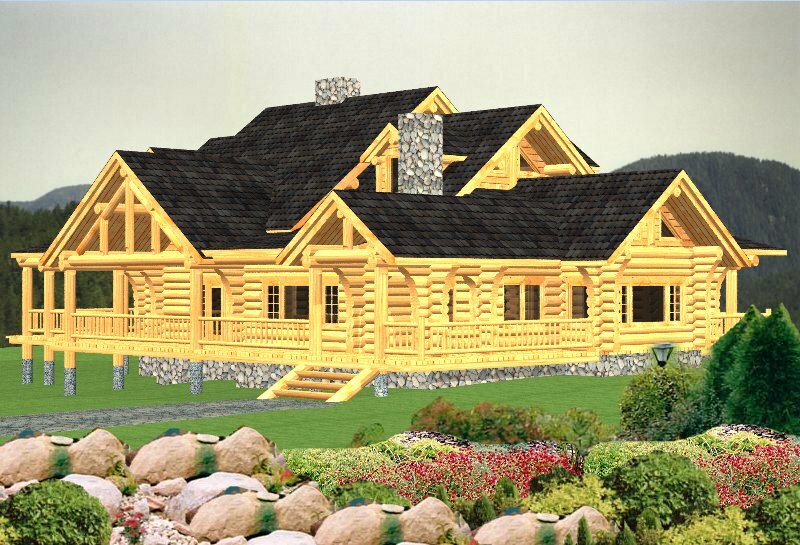 Our design service can customize a plan or work with you to design your unique log dream home! Total Living: 5038 Sq. Ft.
Main Floor Area: 2996 Sq. Ft.
Upper Floor Area: 2042 Sq. Ft. 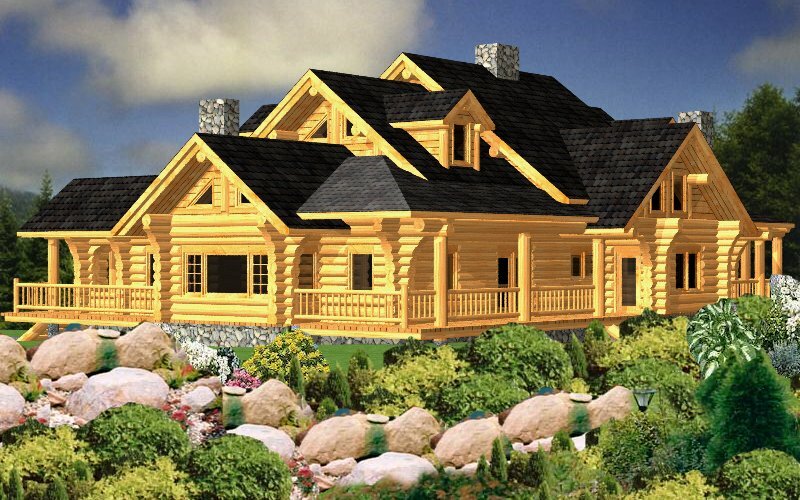 I looked at many log homes built by different contractors. Prices varied and so did quality and workmanship. We decided to go with Brian and his crew. From the planning stages to the finishing touches they have been a pleasure to work with. 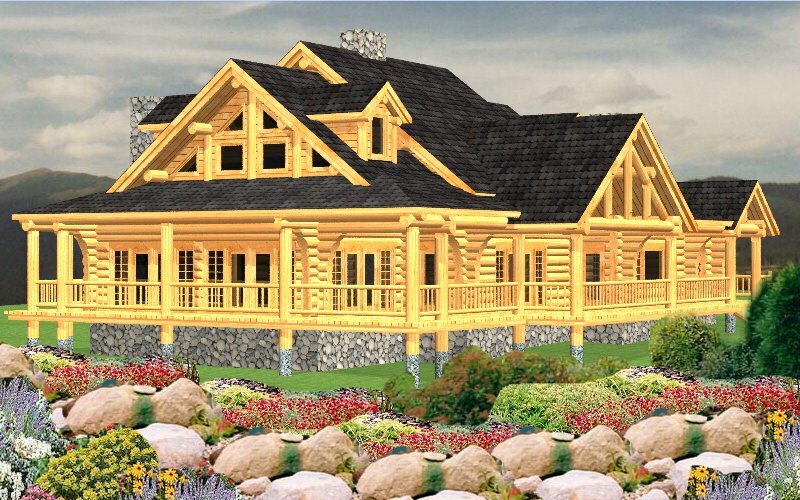 Les and I wanted to take this opportunity to thank you and your team at North American Log Crafters for not only building a log home of fine quality and craftsmanship but also personalizing it for our family. You were able to listen to our needs and wants and created a home that reflects who we are. 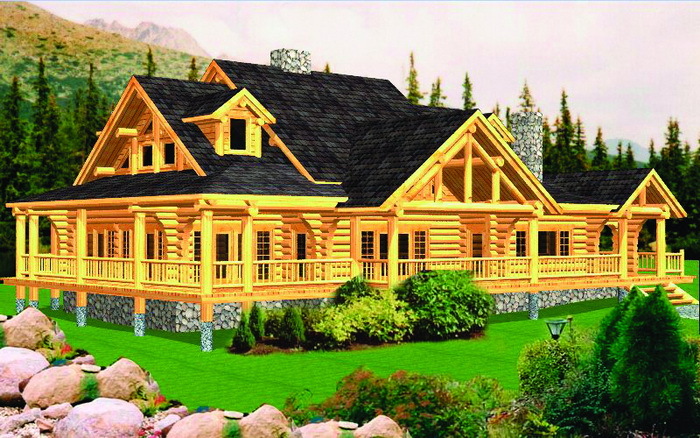 Your expertise and knowledge made our log home dream a reality. 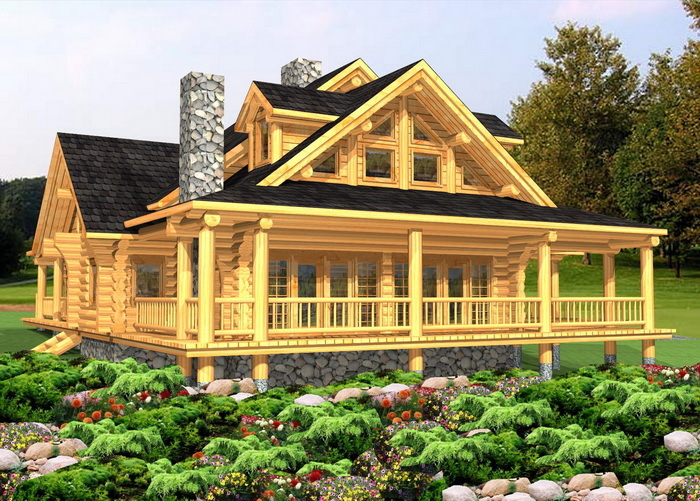 I am very pleased with the quality of the log structure due to the excellent quality of the Douglas Fir Logs and workmanship on the structure. I would also like to thank all personnel at NA Logcrafters for their support, providing additional assistance and advice because I am completing the onsite construction myself without a general contractor.